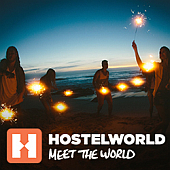 Our Affiliate with HOSTELBOOKERS.com allows your to book your hostel with comfort & send us some love! Becouse we get a small kick back from them for your booking. The cost is the same for you but for us this means a lot !! This is one of the ways how we are financing the CitySpy Project & so your support allows us to continue invest & grow. Improving the servces we can then offer to you. the spy's who love you ! !